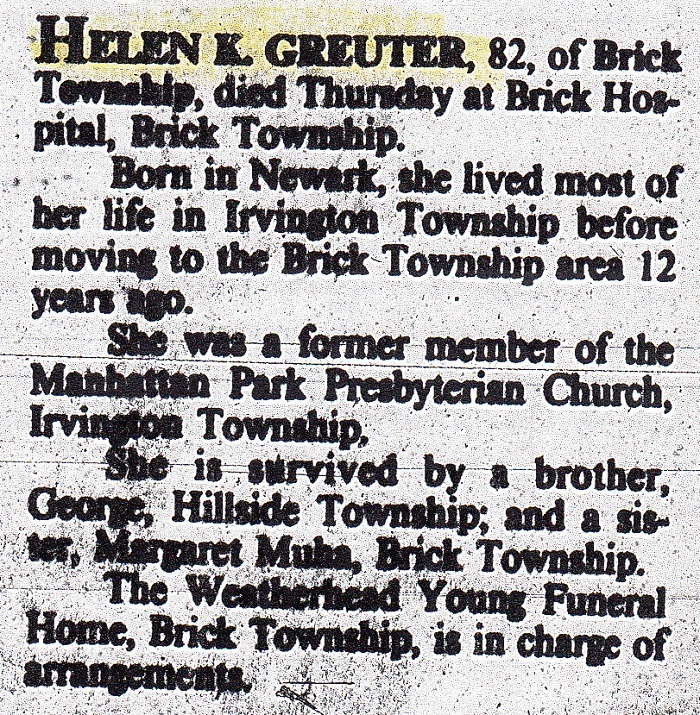 Helen was born March 20, 1903, in Newark, NJ. She was the daughter of Herman Greuter (1874-1940) and Christina Kritzmacher (1875-1962). The obituary was published in the Sunday, November 24, 1985 issue of the Asbury Park Press.